If you see VicRoads staff or contractors destroying roadside vegetation, please let us know. Sometimes this is done by mistake. If there is a swift response from community groups sometimes vegetation destruction can be minimised. If you see something, please get in touch and we will see if we can help. Don’t wait til its too late! Every time CoGG amend their Ocean Grove structure plan I make a submission to retain the tree line along Grubb Road and other remnant vegetation. 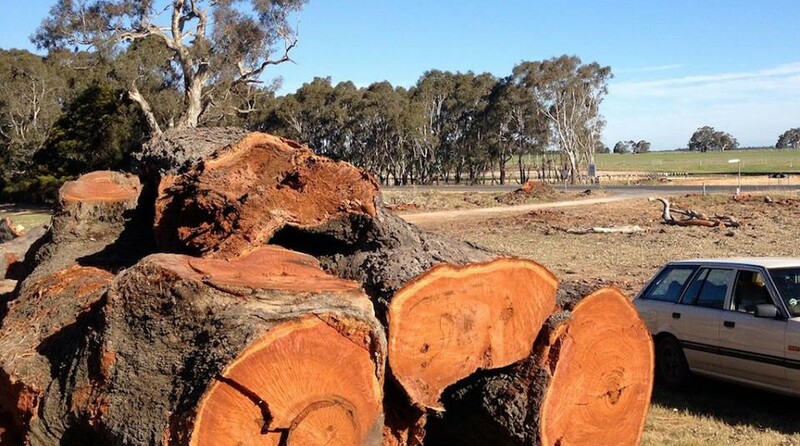 Build houses and roads on the paddocks that have been subjected to mono culture, fertilisers, pesticides and herbicides and then develop an urban forest plan. I receive no reply and feel the day will come when VicRoads will destroy the beautiful wildlife corridor and rural entrance to Ocean Grove. Sad to see a lot of Native species removed, only leaving weed species. We must have the fastest growing trees as they are being pruned every week on one particular road. Sorry to hear that Angie. It does show a lack of respect for the environment. Are you able to take photos? John Bowman – could you let us have some photos of this area? Hopefully people like you will keep it protected. When is the next structure plan due?